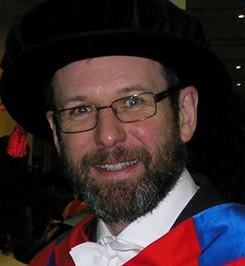 A very busy week found me on graduation duty today at the Brighton Dome for the Winter Graduation for the School of Mathematical and Physical Sciences at the University of Sussex. In fact students from all the Science schools at Sussex graduated this morning, so it was quite a long ceremony but it was, as usual, made very enjoyable by the presence of the Chancellor, Sanjeev Bhaskar, who was at one point lifted clean off his feet by a strapping graduand. I’ve seen hugs, handshakes and selfish galore on the stage at The Dome. but I don’t think Ive ever seen the Chancellor get picked up before! 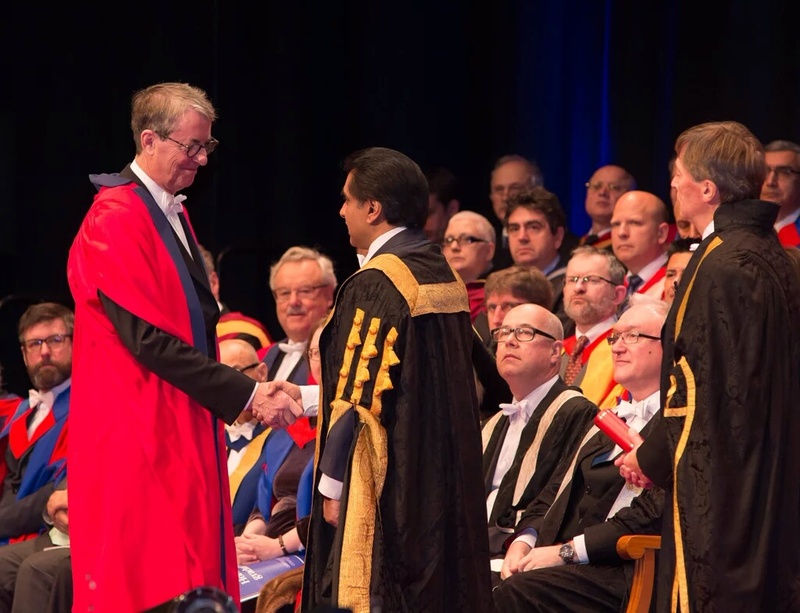 In the photograph above Sanjeev is presenting an honorary degree to a distinguished expert in the field of art conservation, Dr David Bomford. You can just see me on the far left. Many congratulations to all those who graduated today!